Skinless chicken whole and clean. They sold in 2 units or trays in bulk. 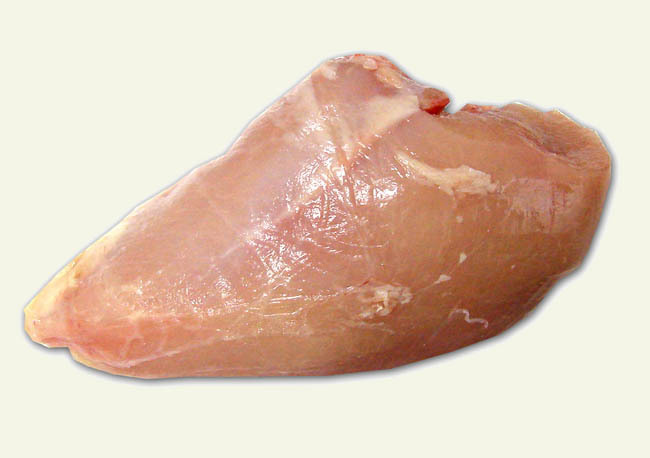 Pectoral muscle chicken without bone and skin. Separated from the body with anatomic cut.